Super Typhoon Haiyan, the strongest typhoon to make landfall in recorded history, left a trail of destruction and some 6,300 deaths across central Philippines. President Benigno Aquino has come under fire for having very little to show since Haiyan devastated communities in 171 cities and towns. By his government's own estimate, 205,128 families are still living in bunkhouses, tents and shanties in "unsafe areas". However, only 1,252 houses have been built for them. 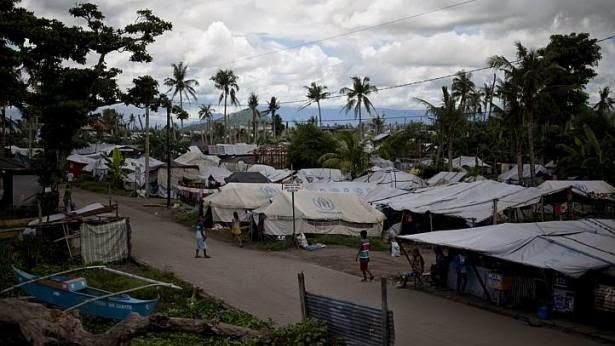 In Tacloban city, a provincial capital that Haiyan nearly wiped off the map, around 400 families have refused to leave a "no-build zone" that stretches 40m from the coasts wrapping the city. Also, only 50 families have so far been relocated to permanent shelters out of more than 14,500 still hunkered down in evacuation centres in the city. Tacloban Mayor Alfred Romualdez said he is hoping construction of a new "township" for these families can be finished by 2017, but he conceded that problems over expropriating private land and scarcity of manpower and construction materials could delay the project by 10 years. In a briefing paper, the Office of the Presidential Adviser on Rehabilitation and Recovery defended the pace of reconstruction in the Philippines, saying it has, in fact, been faster than in Banda Aceh in Indonesia, after it was hit by a tsunami in 2004.It said it took two years before Banda Aceh could transition from relief to reconstruction. Most of the rebuilding so far is being done by international aid groups and private foundations, including the Singapore Red Cross, which has raised $12.26 million to fund 87 programmes for some 1.5 million people. Today, Tacloban will mark a year since Haiyan struck with a "candlelight memorial".Thousands are expected to light 24,000 candles along a 24km stretch from the city airport to a memorial park where more than 2,000 of those who died in the city last year were buried. The powerful Catholic Bishops Conference of the Philippines has declared today a "national day of prayer", instructing all Catholic churches in the archipelago to simultaneously ring their bells at 6pm. A "climate change envoy", meanwhile, will end his one- month, 1,000km march from Manila in Tacloban. Mr Naderev Sano, the Philippine representative to the United Nations' climate change negotiations, and 12 others have been travelling an average of 25km a day since leaving Manila. He made world headlines last year when he fasted during the annual summit in Poland to protest against the lack of meaningful progress on global warming.